How would you like to minimize the chance of air conditioner malfunction? Extend the life of your system? Avoid energy waste, trim cooling costs, and enjoy superior comfort and air quality? Those high expectations are no problem for the experts from Jarvis Heat & Air, LLC. 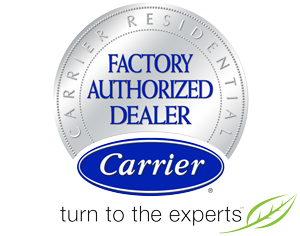 We provide proven effective maintenance of all makes, models, and ages of air conditioners for homeowners anywhere in Gainesville, FL and surrounding areas. It’s simple. Give us a call at 352-316-4573 and we’ll take care of the rest. As an entirely in-family company, we at Jarvis Heat & Air, LLC understand the temptation to neglect annual upkeep of HVAC equipment. You’re busy, and the cooling system seems to be working OK. Just know that waiting for a problem costs more in time, money, and aggravation, while also threatening health, comfort, and damage to your home. Rest assured, after 9 years of service, Jarvis Heat & Air, LLC optimizes convenience and return. Enjoy complete home comfort with A/C service from our dedicated team! Our factory authorized technicians accommodate your schedule, arrive when expected, and leave no mess behind. We adhere to meticulous maintenance procedures, completing thorough troubleshooting and cleaning to restore capacity and energy efficiency. We’ll keep you informed and deliver unmatched benefits through proactive service across Gainesville, FL.